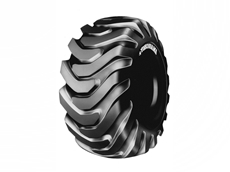 Yokohama Tyre Australia has launched a new range of tyres for large, offroad commercial vehicles. Decmil has won a $137 million accommodation contract from the Department of Immigration for the Manus Island processing centre. The 2nd annual Defence Support Services Summit will be held on 19th September 2013 at the Hyatt Hotel in Canberra. The CIVENEX 2012 construction expo will be held in May this year, offering a major networking and innovation opportunity to hundreds of exhibitors from Australia, New Zealand and China. Now in its 56th year, the CIVENEX expo caters to local government engineers, works personnel and contractors involved in all aspects of construction. The annual expo goes beyond a mere exhibition of earthmoving equipment and construction tools to offer visitors an opportunity to speak with company representatives about everything associated with public and private civil works and infrastructure. CIVENEX organiser, Frank Sticka says that this year’s event will have a demonstration of the latest in electronic systems and new technologies, materials and processes. Some of the equipment highlights at the CIVENEX this year include Earthmoving Attachment Tools' rock saws for block extracting in quarries or trenching, grabs, rippers, drills, fork tynes and vibrating cable ploughs. 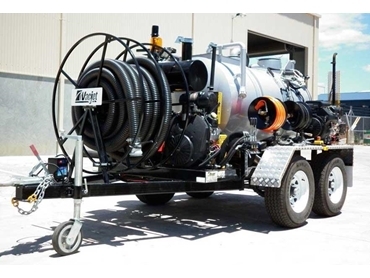 Vacjet's Tornado vacuum trailer and skid mounted range designed for tasks such as drilling mud, sewer pumping, hydro excavation and drain cleaning will also be exhibited. CIVENEX 2012 is being held on Wednesday 16th and Thursday 17th of May at the Sydney Dragway, Eastern Creek in Western Sydney. 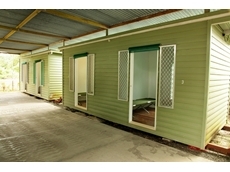 This feature is presented by Ferret - www.ferret.com.au.